Later that night we ended up at one of those daiquiri bars where they have 100 different flavors, but for some reason they all taste the same. I was a bit nervous around my wife’s childhood friends, so I decided to try the house specialty to loosen up. They were served in yard glasses and you were only allowed to drink two of these concoctions. By my second one, I was drunkenly singing karaoke and I’m pretty sure that my rendition of “Like a Virgin” scarred everyone in the audience for life. My palms started to sweat. My brain immediately thought back to our last road trip. I was praying that they had quite possibly banned daiquiri bars and karaoke in the state of California. I know they hadn’t banned “Like a Virgin”. How could you? That song is a national treasure! My wife and I looked at each other with trepidation and began to use the Google to search what sights could be seen during this journey. We began to do research, look at maps and at one point I think one of us broke out a compass. But then, a realization began to wash over us… We could finally have that amazing couples road trip we’d always dreamt about!!! We had a meet up at the Kia Headquarters in Irvine, received instructions and then took off in our Kia Niro PHEV. 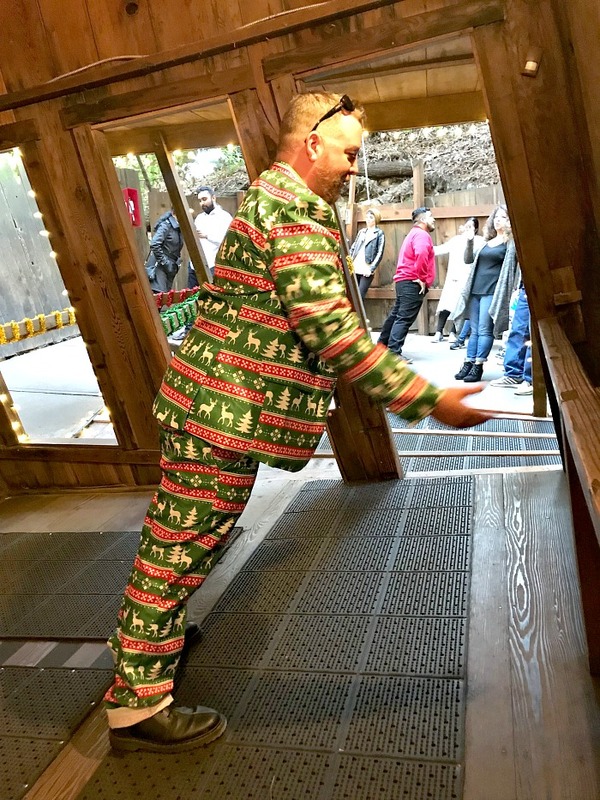 A major theme of our road trip was finding funky places and bringing a little holiday cheer. 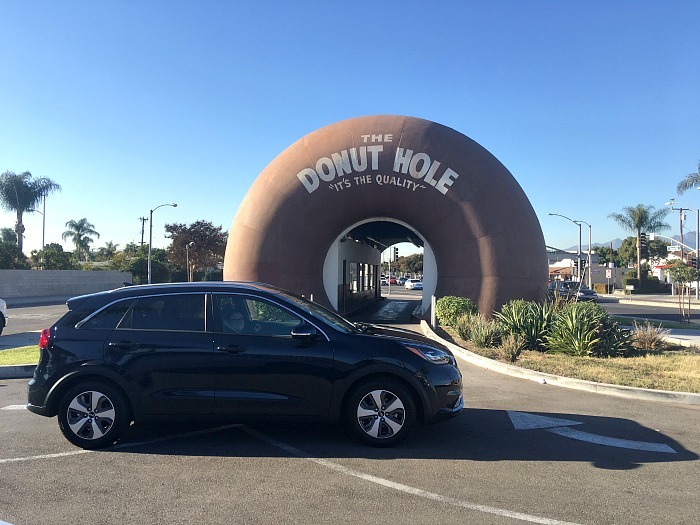 Our first stop was the Donut Hole in La Puente. 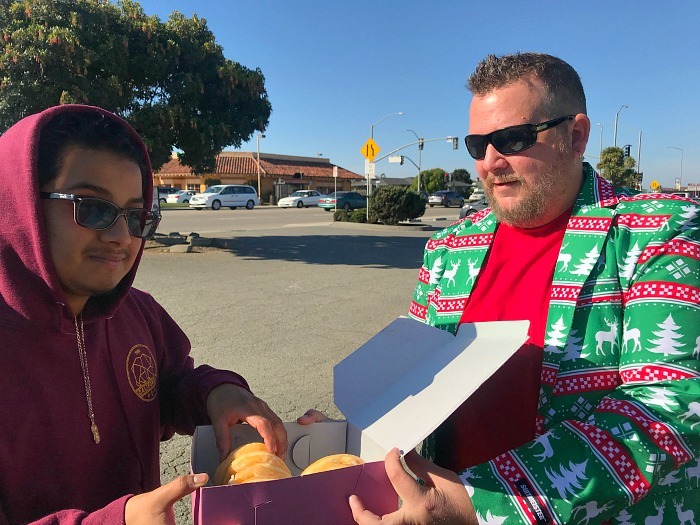 The wife and I figured that one of the best ways to brighten up someone’s day was to offer them a free donut. 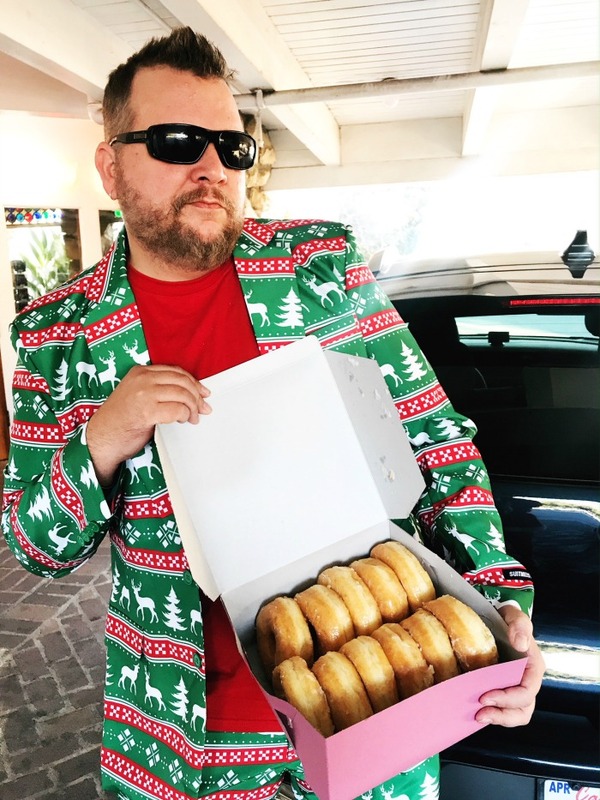 Seriously… Who doesn’t want a free donut!! 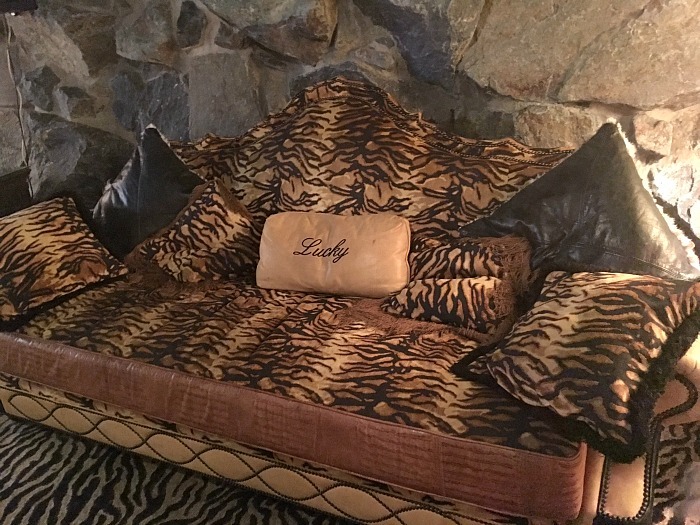 We grabbed a dozen glazed and made our way to the next funky stop, The Madonna Inn. Although “Like a Virgin” was not playing in our room when we arrived. I will say that this fantastic roadside hotel is a must stay if you’re ever anywhere close. 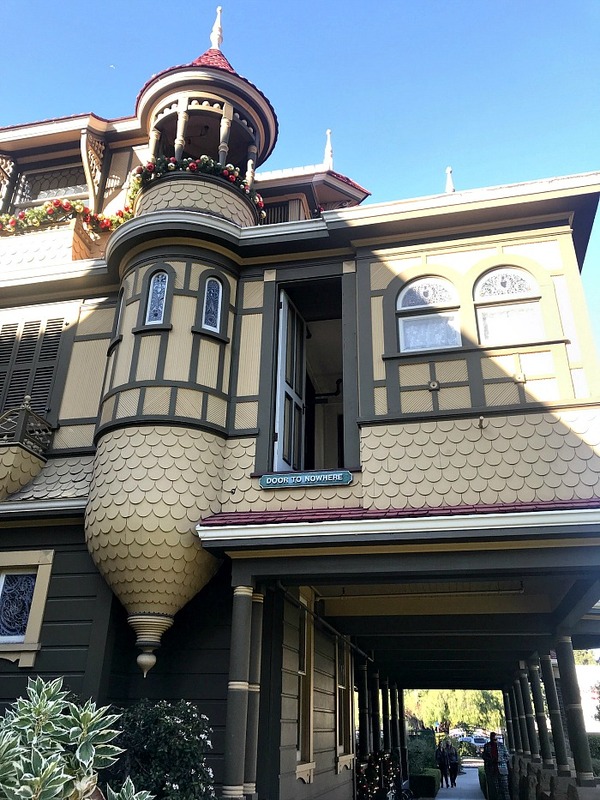 It has theme rooms ranging from the kitschy to the absolutely bizarre (how about a room with a stuffed bull you can ride?!) and Alex Madonna’s Gold Rush Steak House has amazing food and a decor that the word “eclectic” doesn’t begin to describe. We started out the next morning with donuts in hand and a plan of action. 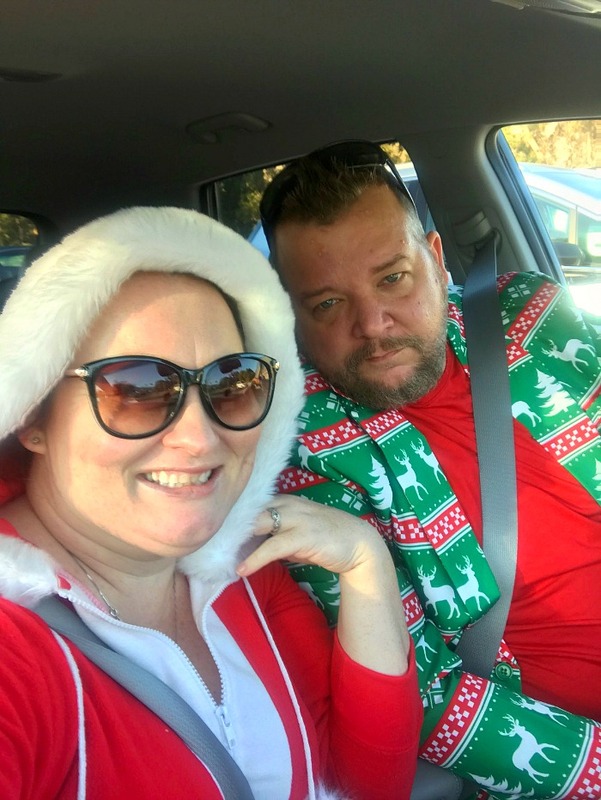 Did I mention that we bought the craziest holiday outfits that we could find at Target? 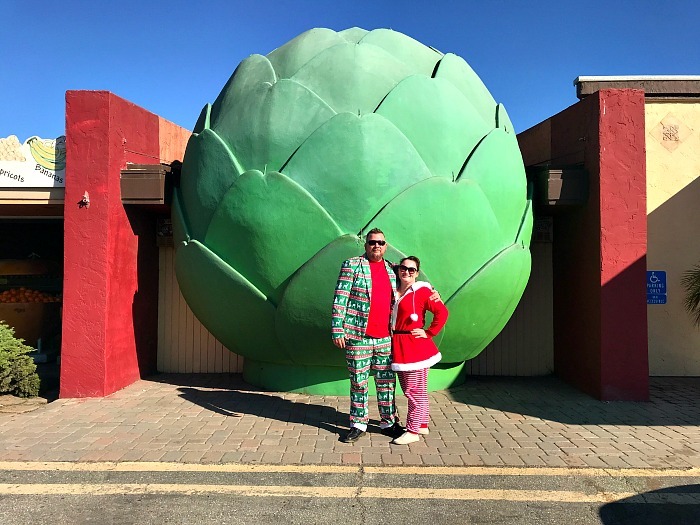 Our donut gifting started at the lobby of the Madonna Inn and lasted all the way to the World’s Largest Artichoke. 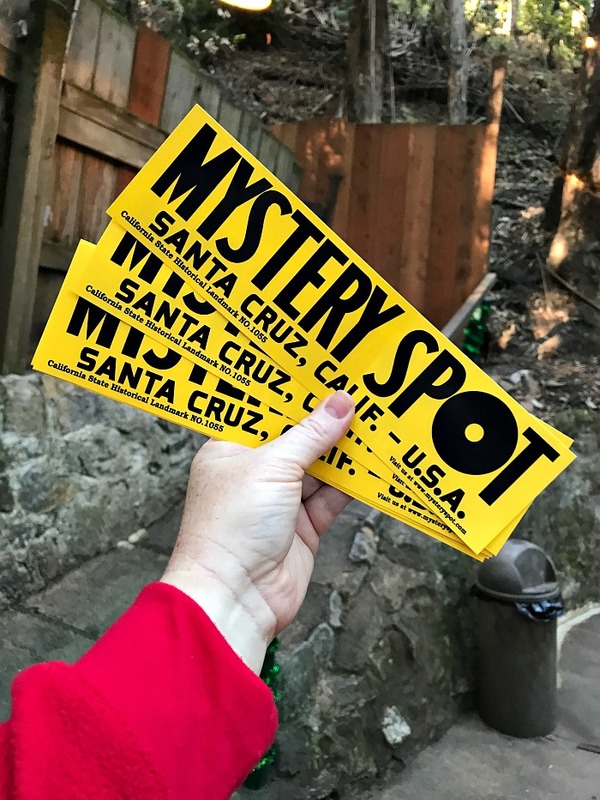 After we were done giving out one dozen gifts of glazed goodness, we decided to make a few bucket list stops. 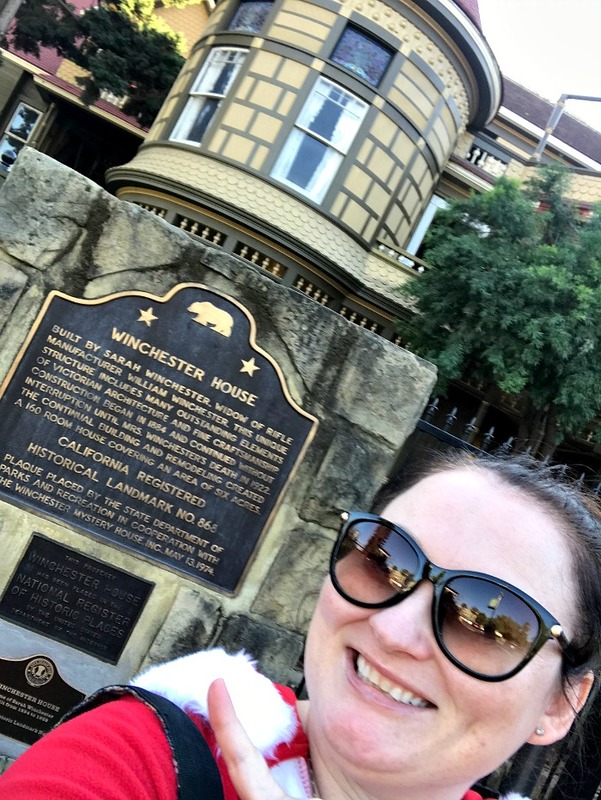 The wife and I swung over to the Mystery Spot (FREAKY) and then went for a visit to the Winchester House (REALLY FREAKY). We arrived safely in San Francisco and the Kia Niro PHEV still had a charge and some gas left. Looking back, it was one of the coolest trips that I’ve ever taken with my wife. It was a great way to have fun, reconnect a bit and really enjoy each other. Hopefully, the next road trip won’t take sixteen years. I love this post and I absolutely loved spending time with you and Stef yet again. Thank you for playing music for us too! Can’t wait to make more memories with you both!